He has dedicated his life to the study of ancient Greek culture, particularly in the field of ancient Greek technology. 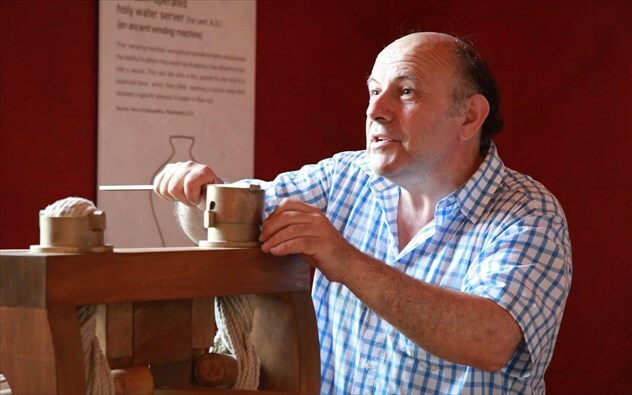 A lot of his research, studies and reconstructions that concern Ancient Greek Technology have been presented at international conferences with exceptional success. He has set up, at his own expense and with his personal exhibits (without any funding from any public or private body), the “Museum of Ancient Greek Technology” and the “Museum of Ancient Greek Musical Instruments and Toys” operating in Katakolo (Greece) and the “Archimedes’ Museum” in Ancient Olympia (Greece) attracting Greek and foreign visitors. Approximately 350 functional models of ancient Greek inventions are displayed in the museums and their aim is to reveal an unknown aspect of ancient Greek civilisation and to prove that the technology of the ancient Greeks, just before the end of the ancient Greek world, was extremely similar to the beginning of our modern technology. He has held several exhibitions, with all or certain of the museum exhibits, in both Greece and abroad. He has written six books concerning ancient Greek technology.